S’mores and More S’mores. Love Them 19 Different Ways! S’mores are as classically American as apple pie, but they don’t have to be made the same way you made them as a Girl Scout. Try mixing things up with these s’mores hacks that are sure to have everyone asking for “some more”! Do you remember the first time you had a s’more? Chances are that it was around a campfire, perhaps on a family camping trip or scout outing. 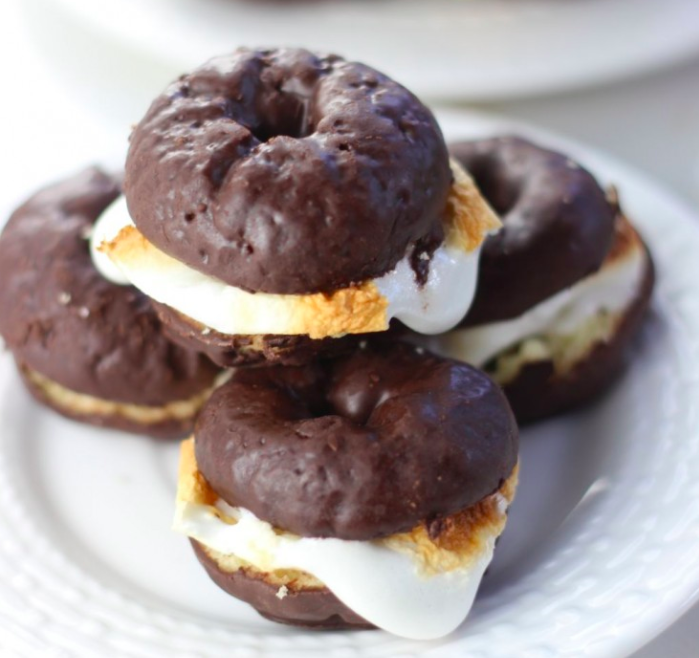 This treat, which is most popular in the US and Canada, first appeared as “Some Mores” in the 1927 Girl Scout handbook, Tramping and Trailing with the Girl Scouts. The name ‘s’more’, a contraction of sorts of the original name, is said to have first been coined in 1974. Some folks believe that it started when campers were eating a ‘some more’ and wanted to quickly ask for another. Their mouths were so full, they were not able to fully pronounce the two words, thus combining them together. Makes sense to us! Although National S’mores Day is August 10 and s’mores are typically a summertime treat, their popularity has grown to the point where s’mores are in demand any time of year! We attribute that to the fact that so many folks now have backyard firepits. In fact, you really don’t need a fire to get that lovely marshmallow char. You can get a similar effect with the grill, the broiler, a kitchen torch, gas stove or even over a candle or Sterno. 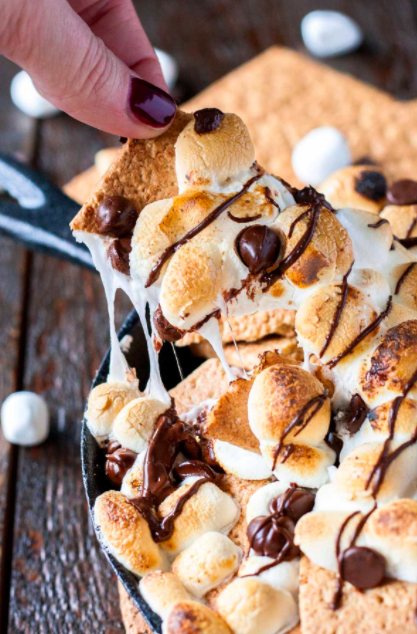 These days, chefs and at-home cooks around the world are taking notice of the wonderful flavor combination of graham crackers, chocolate and marshmallow. 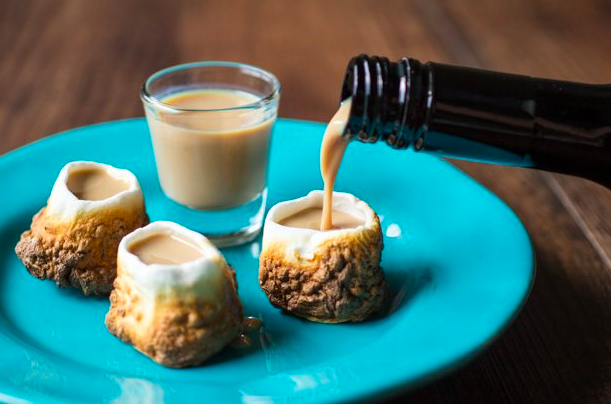 They are blessing us with all sorts of inventive new ways to enjoy our s’mores…pretty much any time of day or occasion! We’ve compiled some of our favorites for you to try at home. 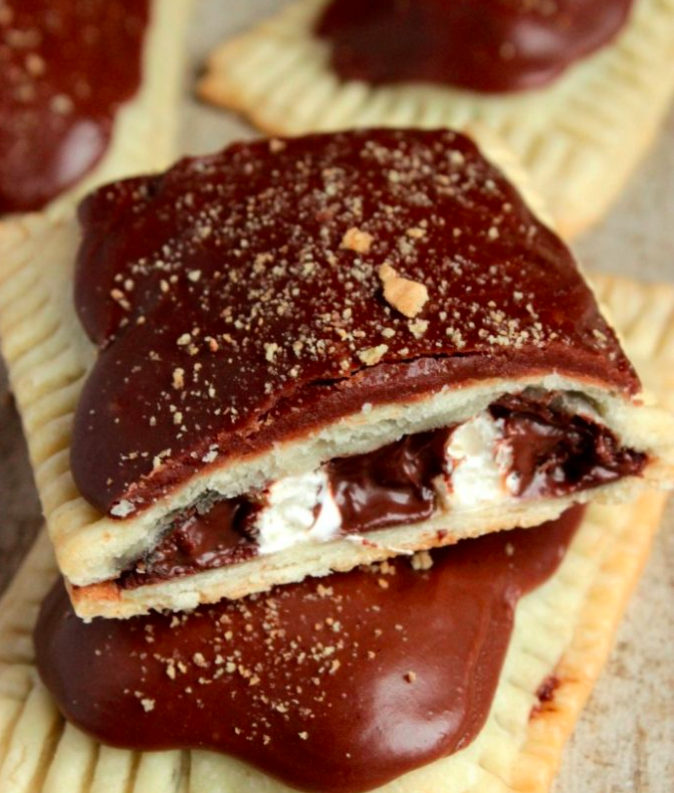 Enjoy these 19 decadent and delicious s’mores hacks. Make them all and just try to choose a favorite! 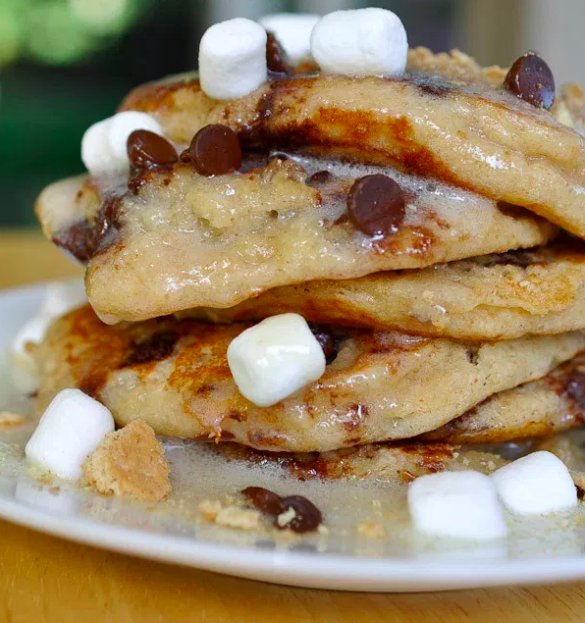 Get the day started right with this breakfast of camping champions! Mix some graham cracker crumbs in with the flour batter, top with mini-marshmallows and chocolate chips while cooking and YUM! Bombshell Bling shows us just how easy these are to make. Now, who doesn’t love a Poptart? You honestly won’t believe how easy these homemade mini-pies are to make, using just a few store-bought convenience ingredients. Big Bear’s Wife delivers the scrumptious scoop. 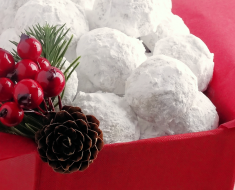 A bag of mini chocolate donuts and some jumbo marshmallows are all you need to make this extra special treat. Visit the Gold Lining Girl to see how easy this is to pull together. We love ice cream, but we REALLY love homemade ice cream that doesn’t require an ice cream maker! Thanks to Your Home-based Mom for this wonderfully easy idea! Click it here for all the recipe details. The “cake” part of this is actually a no-bake cereal, so the prep time for this magnificent dessert is only 20 minutes! Let the freezer do the rest of work and prepare for ice cream cake greatness! 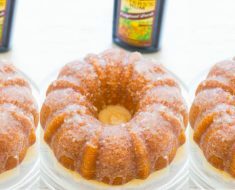 The Baker Mama hits it out of the park with this amazing recipe. This Mom got creative and used empty candle jars as her popsicle molds, but you could try mini paper cups too. And look closely at those cute popsicle sticks that have riddles printed on them. Adorable! We also love her tip to quickly dip in water to loosen the mold before serving. 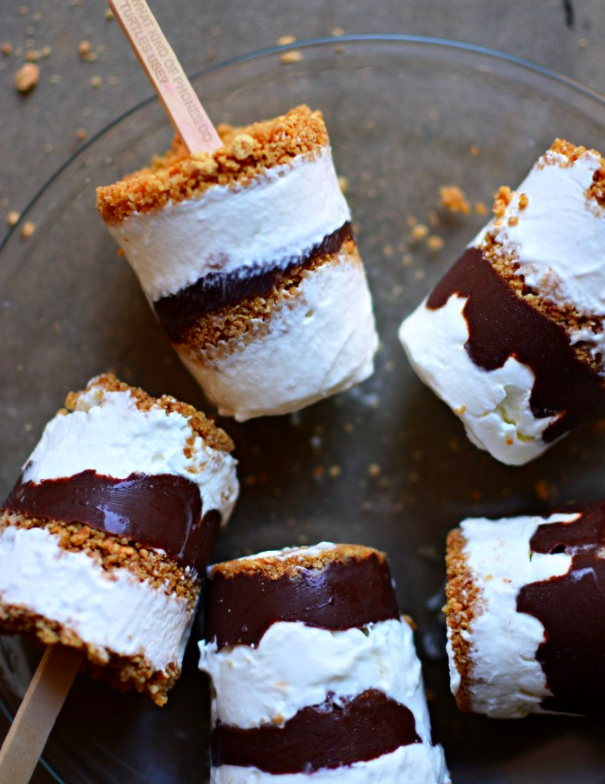 Little Inspiration brings us this heavenly way to enjoy s’mores on a stick! 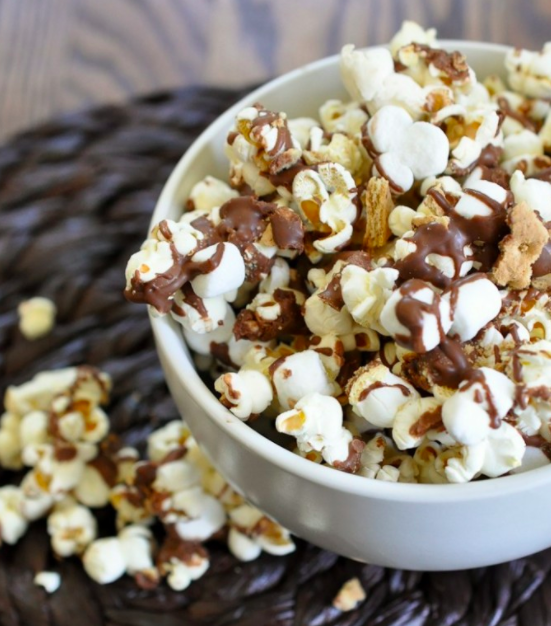 This might be the ultimate sweet snack combination! 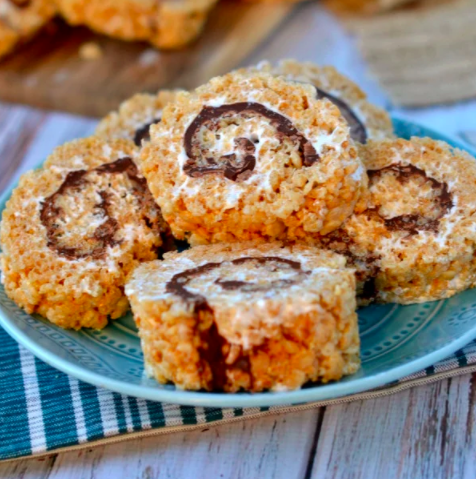 Rice cereal treats meet s’mores in a perfect pinwheel. You could even add a layer of peanut butter to make it even more outrageous! 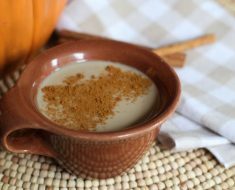 Get the recipe details here. No fire needed for this delish dip. Just layer up the ingredients in an oven-safe skillet (spray it with cooking spray first) and bake away! Pop over here for the complete recipe details. For the sandwich lovers in your life. And for a sweeter take, try this with pound cake instead of bread. We love adding slices of strawberries inside too! Wine and Glue shares her recipe tips here. You know how to make nachos, right? 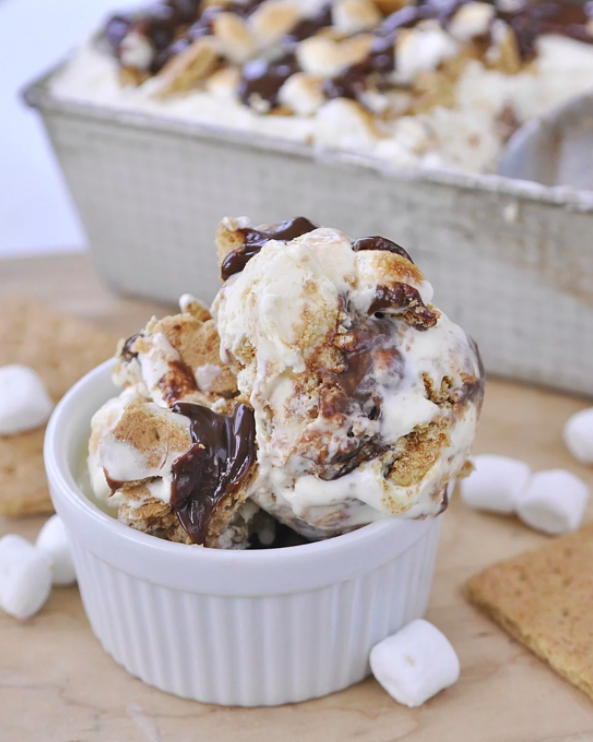 Take that know-how to dessert and make s’mores ingredients the stars of the show. Everyone will be grabbing for their share! Pop on over here for the simple recipe. 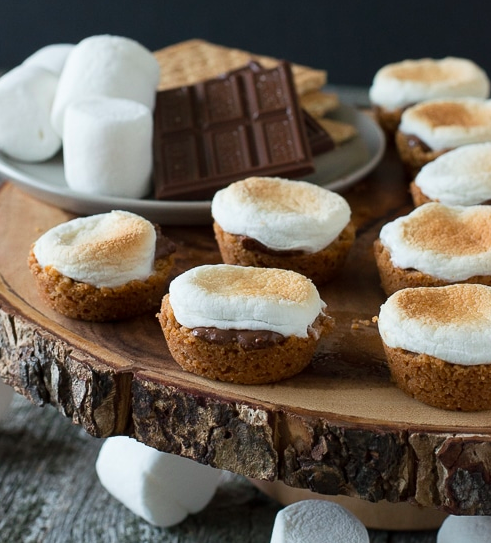 S’mores that are pretty enough for a tea party! Let the muffin pan do the work on these ready-in-30 dessert bites. This recipe makes 24, but these are easy enough to double or even triple the recipe! Visit The First Year for the complete scoop. 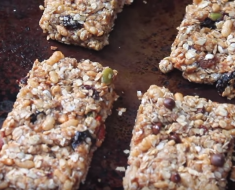 WATCH: We love a recipe that is both easy and outrageously good! Someone had to go there, right? And we are not mad at this idea at all! 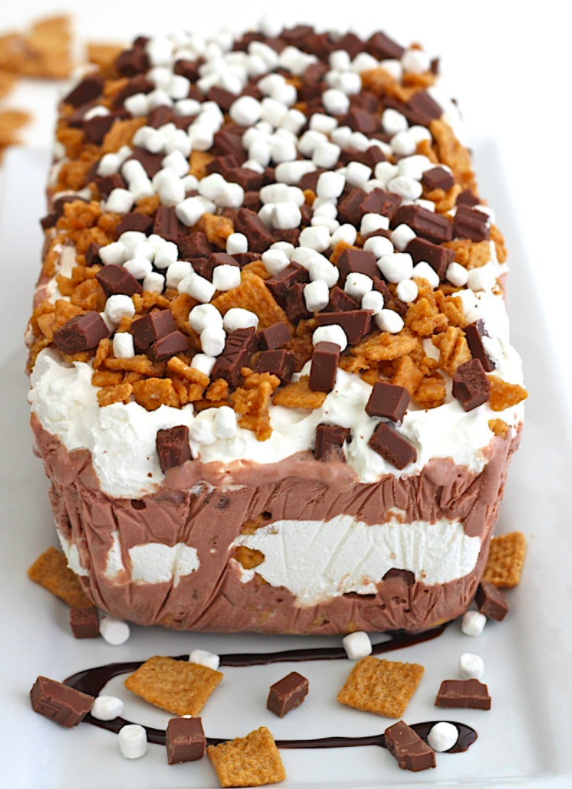 I mean, LOOK at the marriage of that chocolate and marshmallow… all melty and gooey. You want to see how the folks at Sugar Hero made these treats! 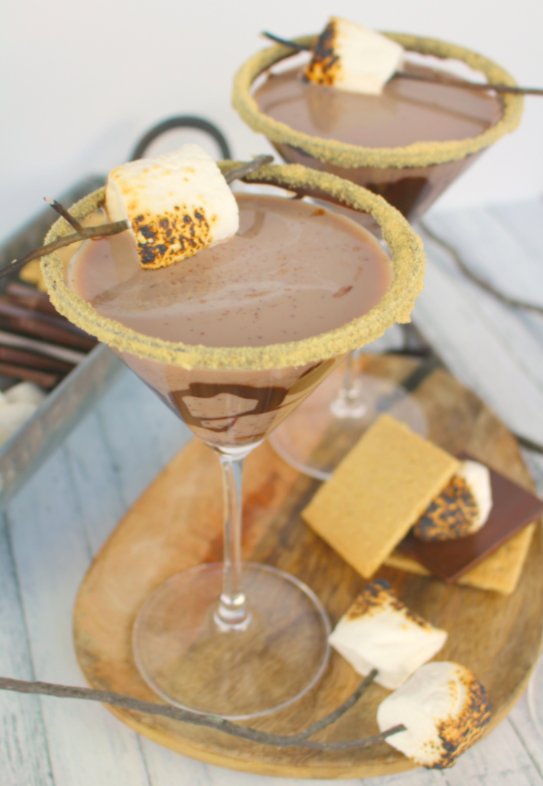 Belly up to the bar…the s’mores bar, that is! The Hurried Hostess has the best tips for pulling together this easy dessert bar idea. We love the craft paper tablecloth, allowing you to write the ingredient labels right on the paper. And the addition of BACON! Because, you know, BACON! 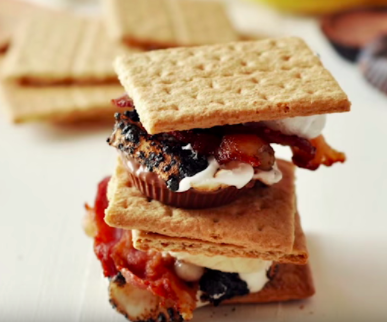 WATCH: This delish and charming s’mores station comes together in a snap! No firepit? Don’t fret. 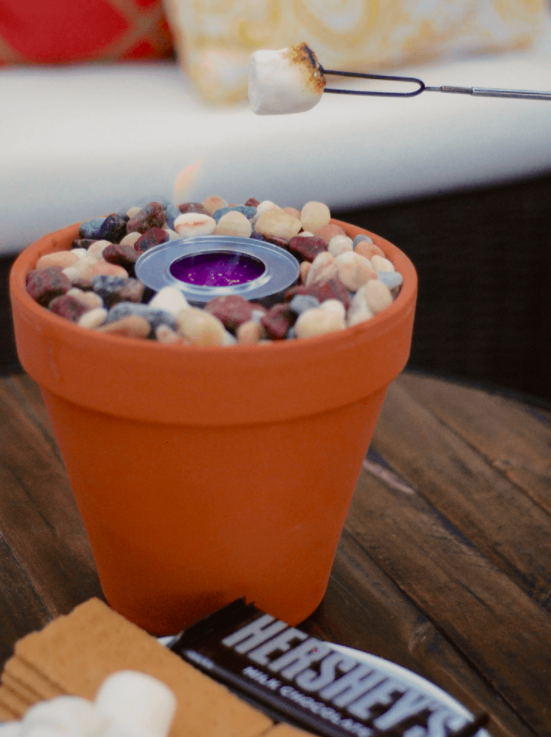 Make a mini s’mores stove – or a few – and let your guests enjoy the delights of s’mores without the hassle of a big fire. Jillee at One Good Thing shows us how it’s done. You came to love s’mores as a kid, but now you can enjoy those wonderful flavors in a special adult delight. And who knew they made marshmallow flavored vodka?! Now THAT’s a happy little surprise! Visit Delightful E Made to see the magic. Look at these clever little cocktails! 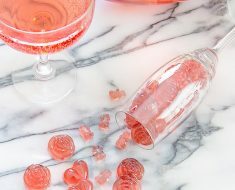 Learn the technique from The Watering Mouth, then fill with your favorite chocolate or coffee flavored liqueur. Chocolate milk works great for the kiddos! Whip up a batch of this sweet and salty goody for an easy take-it-with-you snack. This one will become a household favorite! Learn the details here! 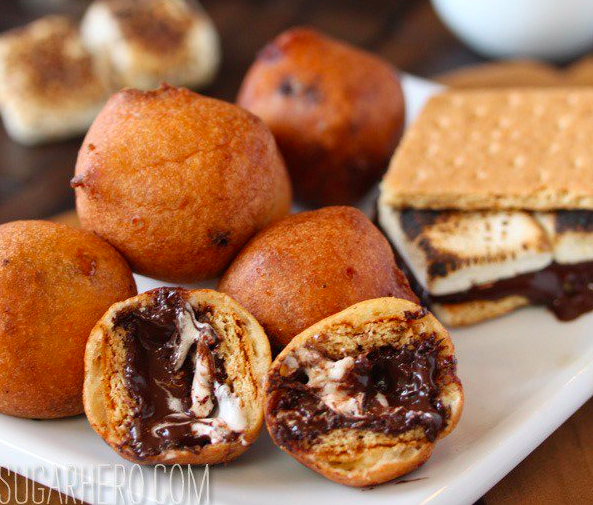 When the kids have a s’mores hankering, don’t worry about sticky fingers! Delish shows how to combine all the ingredients in an easy-to-manage bag of Teddy Grahams. Then send them on their way! Here’s another way to enjoy the goodness without as much mess. 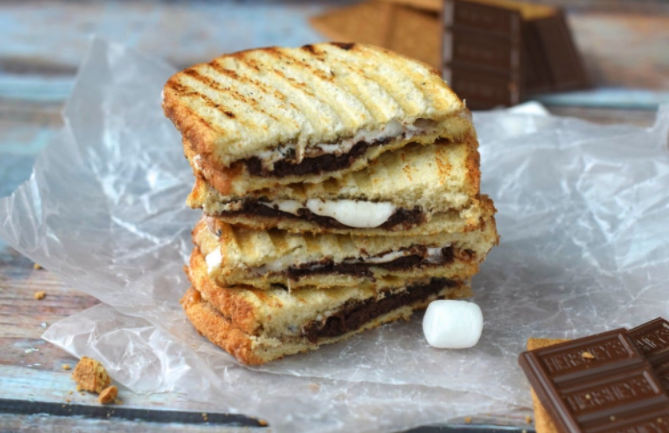 Make this one fun by combining it with a s’mores bar so that folks can choose their favorite fillings and then fire ’em up! 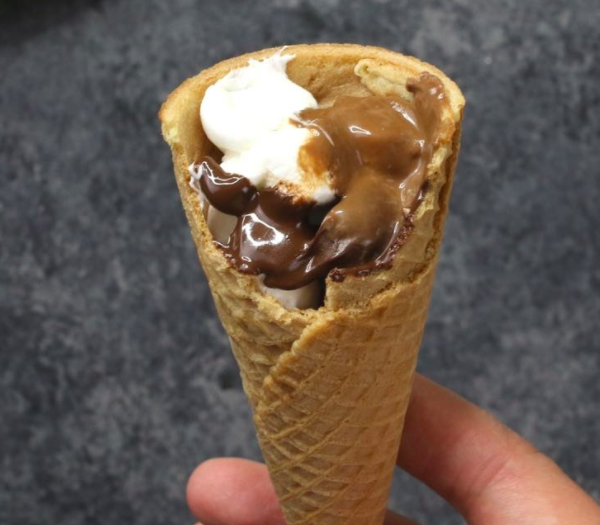 WATCH: Who says cones have to be for ice cream? 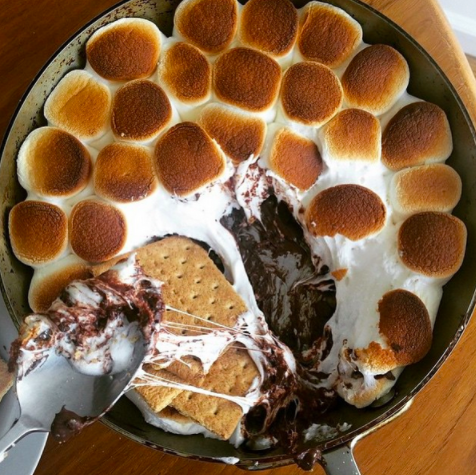 We know you love s’mores and we hope you found some CAN’T-RESIST recipes to try! 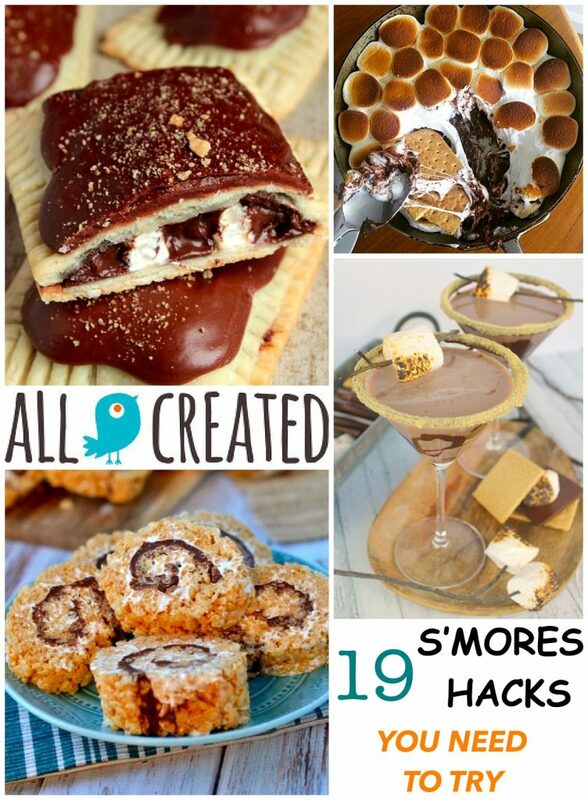 Make these and show your family and friends that s’mores are no longer just for Girl Scouts and summertime! We thank you for visiting AllCreated.com. Be sure to pop over to our site regularly to see recipes, crafts, DIY & inspiration, chosen just for you. We post tons of new ideas every week! 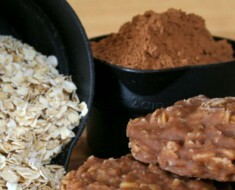 Homemade Granola Bars – These Are So Energizing!